Finding a good lip scrub doesn't have to be overly complicated. Bring your lips back to life with these super simple and scrumptious DIY Lip Scrub Recipes! Have you ever gone to put on your lip balm or lipstick, looked in the mirror and all you can see are little flakes of dead skin? It's one of the worst feelings out there. Then you start picking them off those flakes of dead skin and end up making your lips bleed…It seriously never fails. No matter how many times you put your lip balm on, nothing ever helps. Please tell me I'm not the only one and you've been there, too… Not fun. Frustration city. You name it, those emotions are real. Dig deep and ask yourself why your lips are behaving that way. Why are they defying you and all your efforts in making them plump and pretty? Honestly, it's their subtle little way of telling you that they need some love. Believe it or not, lip balms and chapstick alone can't always solve your lip chapping problems. The labels may read otherwise, but the truth is that sometimes our lips are past the point of a lip balm and need a lip scrub instead. A little exfoliation is all your lips need to get rid of the dry, flaky skin and reveal your beautiful lips lying beneath. 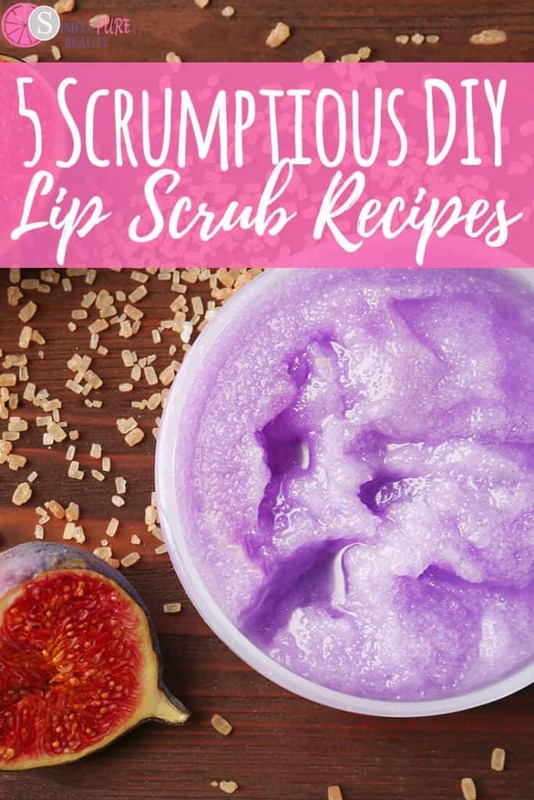 I have plenty of fun, easy DIY lip scrub recipes for you to try today! To make a DIY lip scrub, you usually only need a few ingredients. More than likely, you have the majority of them in your kitchen ready to rock and roll. With so many great DIY Lip Scrub recipes out there, it's simple to find a few that are good for you and your lips. Don't fall for the gimmick of over-the-counter products that try to treat your lips with harsh chemicals. Instead, try a few of these DIY Lip Scrub recipes instead! Keep in mind that after exfoliation and lip scrub is a good time to use your lip balm. Natural lip balm is super easy to make as well including this Mint Chocolate Lip Balm, Soothing Mango Butter Lip Balm, and this Anti-Aging Lip Balm. Ready for the DIY Lip Scrub recipes? 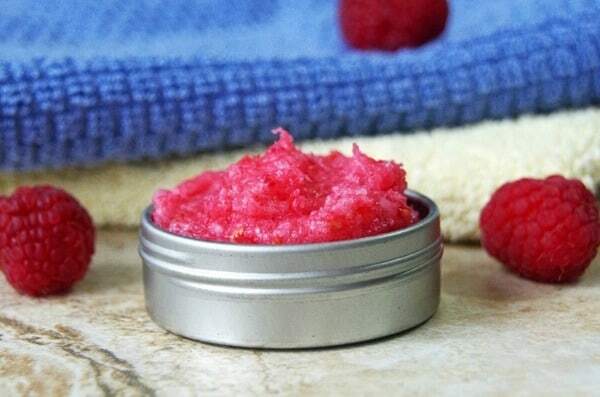 This Raspberry DIY Lip Scrub is made up of 3 simple ingredients and is certain to leave your lips smooth and refreshed. With one of the main ingredients being raspberry, you'll love the smell AND the taste! Treat your lips to a citrus scrub with this DIY Exfoliating Lemon Lip Scrub. It's the perfect lip scrub to keep your lips feeling silky smooth! Who says that Cinnamon is only for your morning toast? 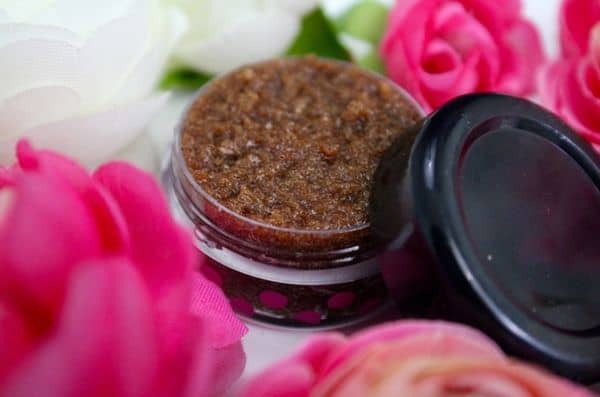 With this DIY Cinnamon Lip Scrub, you'll love having this easy to make lip scrub recipe handy from ingredients that you have in your kitchen! 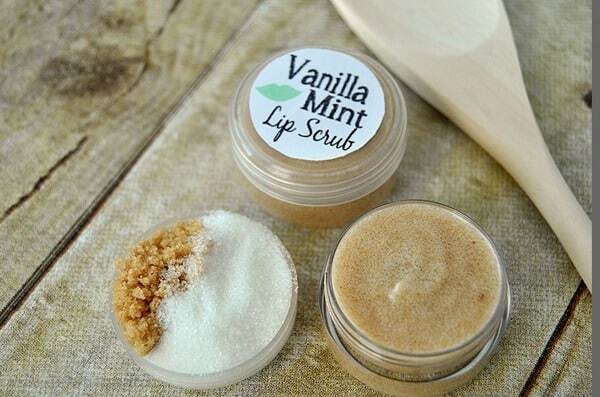 This DIY Vanilla Mint Lip Scrub is one of those recipes that you'll keep and use for forever. It's a great lip scrub to take your lips from chapped to plump and moisturized super quick and easy! 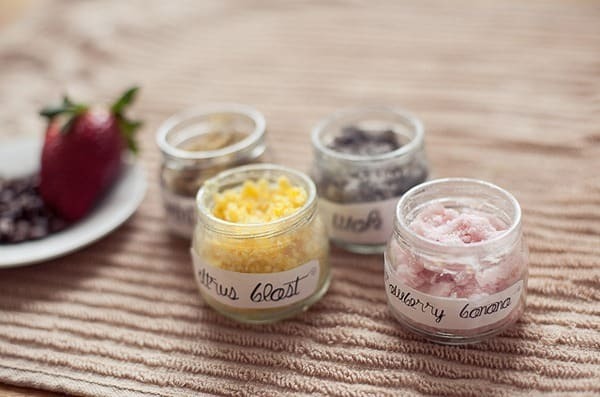 Have fun making a mix and match lip scrub with these DIY Lip Scrub 4 Ways recipe. Channel your creative side and see how many lip scrub combinations you can make! DIY Lip Scrubs – So Simple, anyone can make them! There you have it! 5 of the simplest and most natural lip scrub recipes out there. If you have a few mometns of time, and a few simple ingredients in your house, you're well on your way to making your own DIY lip scrubs. Once you make your own, you'll never think twice about purchasing any type of lip scrub from the store ever again. And why would you? When you can put ingredients on your lips that you know are safe for you and your mouth, is there even really another choice? Don't waste time perusing the aisle at your supermarket looking for alternatives. Nothing compares to products that you can make at home. 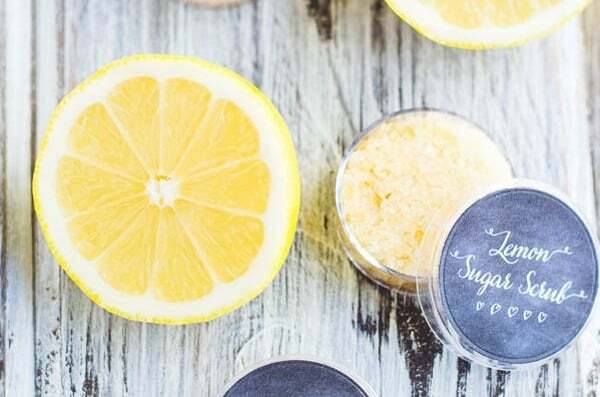 Treat your yourself, your lips and your mouth with one of these super simple DIY lip scrubs. You'll be amazed by just how effective and easy they truly are! And before you know it, your lips will be camera and conversation ready in no time! I am so delighted that you shared these healthy, natural Scrumptious DIY Lip Scrub Recipes at the Healthy Happy Green Natural Party! I’m Pinning and sharing this! Thanks for all the valuable recipes for lip balm. an s scrub. I think I like the mint one best. Sharing on twitter & pinned! I love everything about this and you even provided lip balms, too! Thanks for sharing at the Healthy Living Link Party! These are awesome! I love DIYs like this. Thanks for sharing it with us at Savoring Saturdays last week.